Why does my ankle keep spraining? It is very common, once you have sprained your ankle, to re-sprain it again. What has gone wrong with my ankle? Most think that “It’s tough luck, you’ve torn it, and there’s not a lot you can do with it now”. This is certainly not the case. To know the solution to this, you need to understand how your ankle works. In a normal healthy functioning ankle our ligaments are strong structures that stabilise our ankles, and our muscles are there to resist against injury. Our muscles contain both motor components to move the muscles and sensory components (called proprioceptors) to sense when our ankles are near injury. These sensors let you resist sprains, they let you know (subconsciously) BEFORE you are about to have a ligament tear. Your body subconsciously detects this and passes this message onto your muscles which then contract to protect you from moving any further, they PROTECT you from ligament damage. When you sprain your ankle, there is a tear and bleeding within the joint. 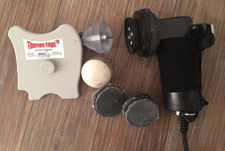 There are two things that can go wrong; your ligaments become more lax and these sensors lose their sensitivity. If these sensors tell you that you are about to re-sprain your ankle, it is often too late and you tear your ankle ligaments again. It has been shown that your ankle sensors are slower (slower reaction speed) AND your muscles that are there to protect the ligaments are also weaker (or not switched on (inhibited)) and slower to respond. What do my ligaments look like after injury? 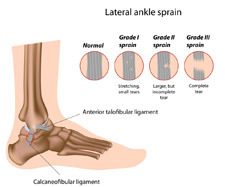 In terms of ligament damage, your body lays down scar tissue (collagen) which shortens your ligaments in order to stabilise your ankle joint BUT it is also weaker. The ligament doesn’t heal to look like the original shape of the ligament and so is not as strong as the original ligament. The ligament structure looks “higgledy-piggedly” instead of a clear structure shape (see pic below), this makes it easier to tear through again. In physics terms, the “tensile strength” of the ligament is less. There are two things that can go wrong, and there are three ways in which we can treat your ankle injury. For grade 1 and 2 sprains conservative management (as below) is the first choice (4). For grade 3 sprains chiropractic treatment and rehabilitation may be attempted on a case by case basis before considering referral to an orthopaedic surgeon. If there are bones in your foot that are out of place after an ankle injury, we perform adjustments of your foot bones to restore normal movement between your foot bones and allow your foot to function normally again in terms of movement and sensory function (proprioception). Chiropractic adjustments (manipulation) to the joints of the foot have been shown to restore proprioception to the joint (5). One of the complications of a chronic ankle sprain is pain in the mid-foot in the area of the navicular and cuboid bones. Ankle and foot manipulations can help to realign the cuboid and navicular bones which can be forced out of alignment during an ankle sprain. A misaligned cuboid and navicular bone can cause significant discomfort long after the initial ankle sprain injury. If you have mid-foot pain and have a prior history of ankle sprains you may benefit from foot and ankle manipulations. It reduces long-term wear and tear around the joint. We find a lot of older patients come into the clinic with osteoarthritis of joints because they were never addressed after injuries, only the symptoms such as pain were addressed. 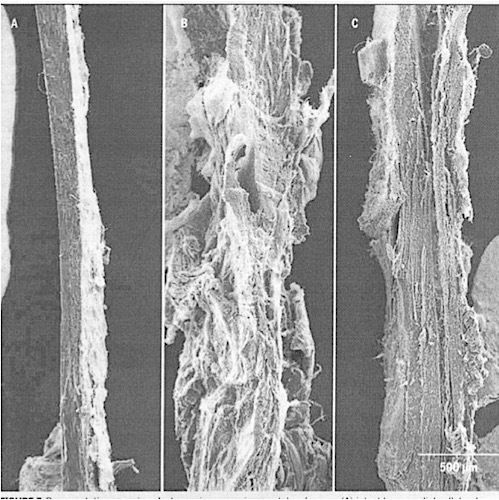 We can use soft tissue techniques such as the Vibracussor, to breakdown the scar tissue and realign the fibres so that the strength increases up to a maximum improvement of 50% strength compared to a ligament that has not received soft tissue techniques after injury (1). We use K-Laser to help speed up the healing process of your ankle ligaments (anti-inflammatory, pain reduction, reduction in swelling) (2). Your sensors in your ankle are essentially responding too late to protect your ankles from injury. 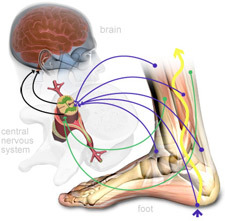 We can train the proprioception of your muscles that protect your ankle. With this training you can get your sensors protection back to 100% to where it was originally. Very few people know of this option of treatment! It is crucial to restore these sensors to their normal level as they form the majority of our ability to balance; they send messages to our brain to keep us balanced. Whilst many people have been lead to believe that there is “no hope” once you sprain and re-sprain your ankles, there is hope. You won’t have weak ankles for life. We can get your active structures working again to re-stabilise your ankles. ?In their systematic review Loudon et al. (2008) argue that the evidence for ankle strengthening exercises is superior to that for simple balance training, and that a combination of strengthening and balance drills should be employed (3). Your gluteus medius muscle can stop working properly on the same side of your ankle injury, this muscle helps to centre your knee and ankle joint to prevent injuries. Ankle balance mat exercises to increase reaction speed (have little effect on strength so strength exercises are also needed). Gentle passive stretching and gentle dynamic ROM exercises help to maintain the motion in your ankle whilst it heals. Along with K-Laser, soft tissue therapy and chiropractic adjustments, this is a new option to manage your ankles yourself. These exercises will give you your healthy ankles back! As you can see there are a lot of options that can be used in conjunction to help heal your ankle, restore stability, and reduce your risk for future ankle sprains. 1. Loghmani MT, Warden SJ. Instrument-assisted cross-fibre massage accelerates knee ligament healing. J Orthop Sports Phys Ther2009;39:506-514. 2. de Freitas, Patricia, and Alyne Simões, eds. Lasers in Dentistry: Guide for Clinical Practice. John Wiley & Sons, 2015. 3. Loudon, Janice K., et al. “The effectiveness of active exercise as an intervention for functional ankle instability.” Sports Medicine 38.7 (2008): 553-563. 4. Nyska, Meir, and Gideon Mann. The unstable ankle. Human Kinetics, 2002. 5. López-Rodríguez, Sandra, et al. “Immediate effects of manipulation of the talocrural joint on stabilometry and baropodometry in patients with ankle sprain.” Journal of manipulative and physiological therapeutics 30.3 (2007): 186-192.